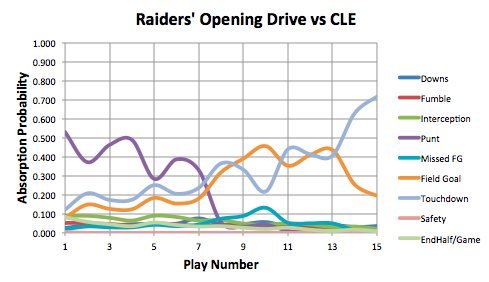 Thanks to this great opening drive, Oakland was favored the entire game following the first 1:18. This dominance was only rivaled by Chicago on Sunday Night, who maintained a win probability greater than 0.50 for the entire game following the opening 1:17. Keith Goldner is the creator of Drive-By Football, and Chief Analyst at numberFire.com - The leading fantasy sports analytics platform. Should the Vikings Have Punted? 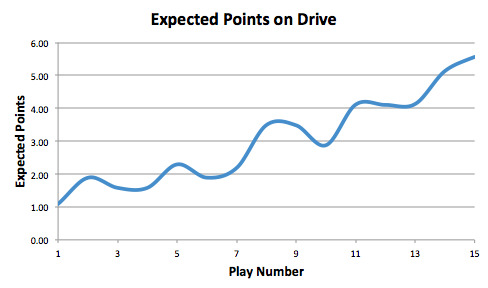 What's Going On With Passing In 2011? Should the Seahawks Have Kicked or Thrown?